Carnation Silversocks are finished in a high quality textile, designed for everyday wear. Silersocks reduce static electricity and electrostatic discharge - the X-static silver within the sock will not wash off or diminish in effectiveness, and will last the lifetime of the sock. Antimicrobial & anti-odour, the silver content is proven to kill over 400 different types of bacteria and also inhibits the growth of odour causing bacteria and fungi in the socks. It eliminates 99.9% of bacteria in less than one hour of exposure. Carnation Silversocks also neutralise ammonia and denatured proteins (which are both significant causes of odour) which bind readily to the silver, resulting in an instant odour reduction. 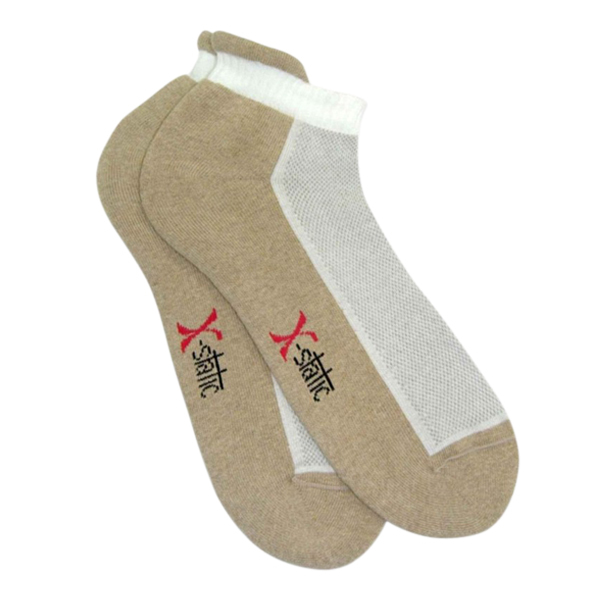 The silver content regulates the temperature within the sock, reducing the risk of blistering. Silversocks will keep feet cool in summer and warm in winter, they also offer relief for people suffering from conditions such as diabetes, circulation problems and chilblains. Silver Socks are made up from 2% X-static silver, 75% cotton, 21% nylon and 2% lycra elastane.